The Old Car Club of Tokyo recently held it’s 3rd annual Showa no Kurma wo Mamoru Tsudoi or “Preserving cars made in the Showa Era” meeting. 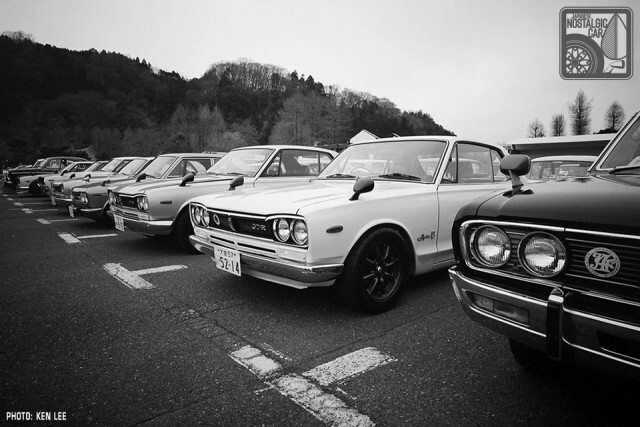 This is a gathering for cars made during the Showa Era, which ended in 1989 according to the Japanese calendar and encompassed the Post-War, Golden and most of the Bubble Eras of Nihon automaking. 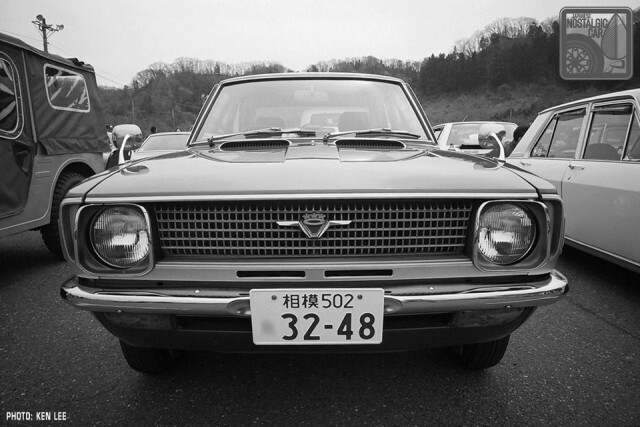 In other words, all the best Japanese nostalgic cars. The meeting was held at Tokyo Summerland in Parking Lot 2 with free entry. There were over 250 cars on display with over 30 shops selling parts and goods. While the last two meetings were rained upon, the weather held up and it was a nice day to walk around and take in the cars. Various clubs came to represent their respective marques and models, including the Prince Skyline GT-A and B Club, Fairlady SP311 Club, CSP311 Owner’s Club, and many more. By the Japanese calendar, the Showa Era began in 1926 and ended in 1989, but when the average Japanese person talks about it, they usually mean the post-war time in which the nation saw unprecedented growth in technology and a booming economy. 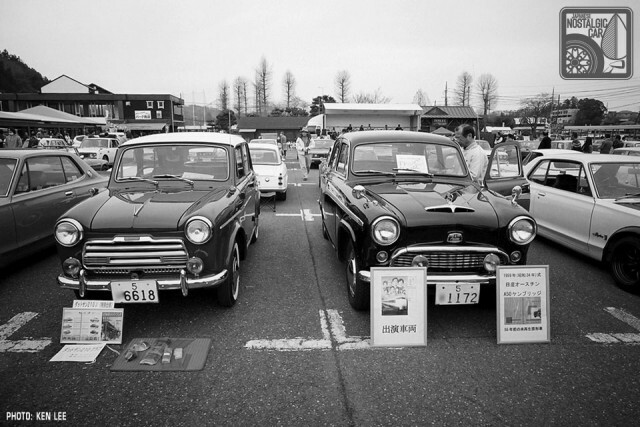 Early Japanese cars were either truckish and spartan like the the Datsun 210 (left) or constructed from licensed kits like the Austin A50 (right). From an environment where very few owned cars, by the 1950s Daihatsu Midget 3-wheeled trucks were seen buzzing around Tokyo streets. 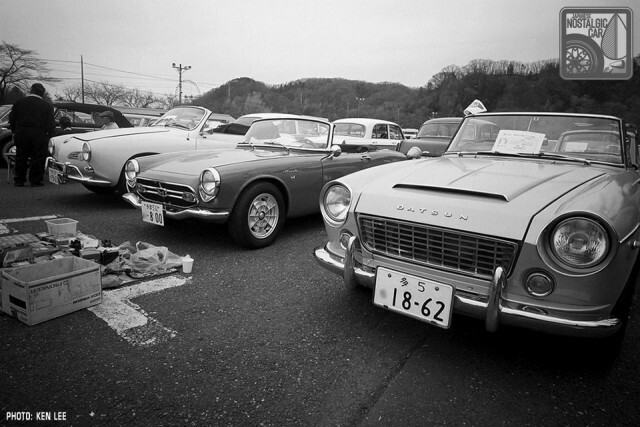 By the early 1960s, kei cars like the Mazda Carol had become family sedans of choice. 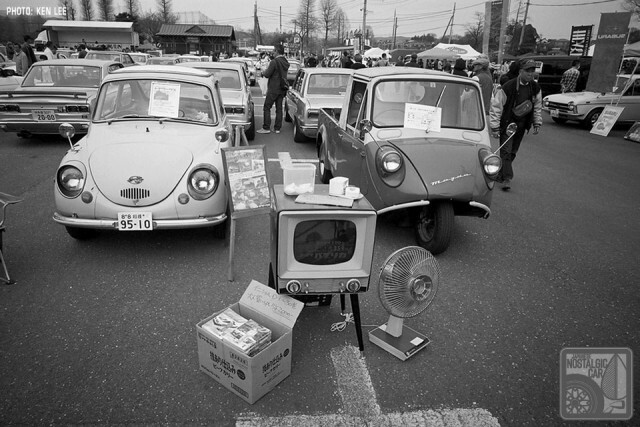 By the mid-60s, the average Japanese family were able to afford the Three Cs — color tv, cooler (what we call a refrigerator) and a car. 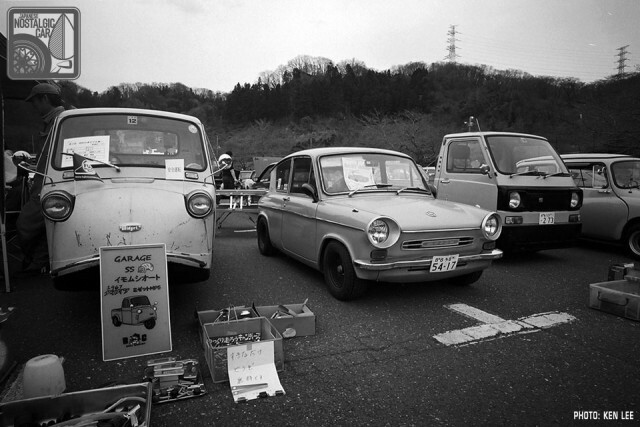 The Subaru 360 (left) was the most popular car of them all, built to People’s Car specs that gave automakers tax incentives to create affordable transportation. Many companies built 3-wheelers, including Mazda with its K360 (right). 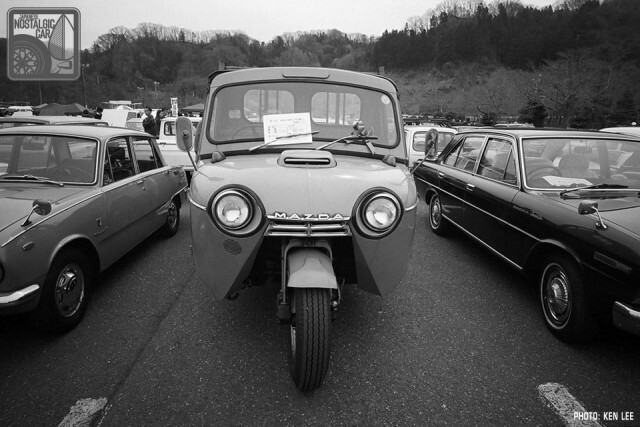 The People’s Car eventually became what we know today as the kei jidosha, the uniquely Japanese class that spawned a slew of innovative cars conforming to strict engine size and dimensions. Nestled between an FC RX-7 and an Isuzu 117, is Suzuki’s take on the kei car, a rear-engined coupe called the Fronte. However, resourceful petrolheads would find a way to turn even the smallest of kei engines into something that could be raced, while automakers experimented with various configurations like the rear-engined Hino Contessa. 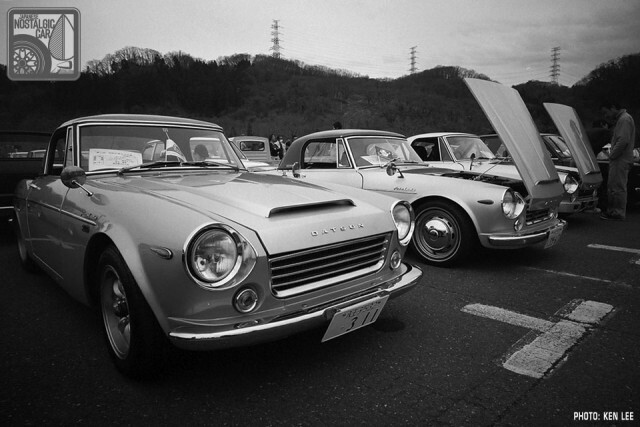 Not all Showa cars were government-incentivized roundabouts though. Prince turn to world-renowned Italian design studio Michelotti — known for classics like the Alfa Giulietta, BMW 2002 and Alpine A110 — to design the Skyline Sport. 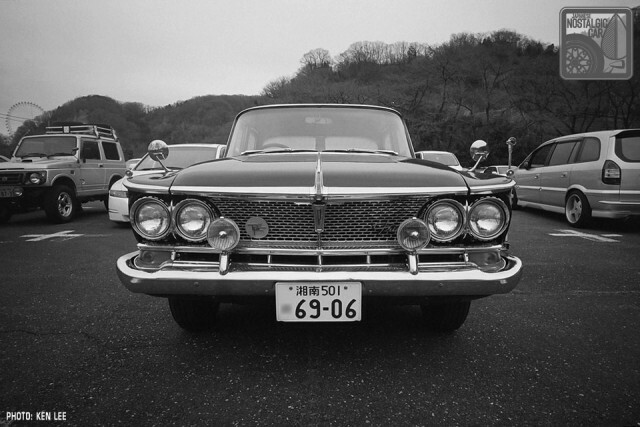 A not rich but well-off family in late-60s Japan might have owned something like a C30 Nissan laurel sedan. 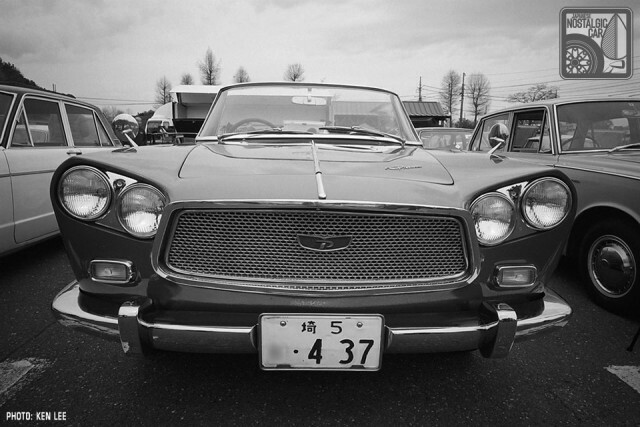 The more ostentatious among them might have opted for an MS51 Toyota Crown Coupe, seen here, oddly enough, with a “510” license plate. Calls for practical mobilization didn’t stop automakers like Honda and Nissan from engineering domestic sports models. Japan had their home-grown halo cars as well. Twin-cam technology could be found on cars from Toyota to Nissan to Isuzu. True, they were out of reach for most Japanese citizens, but the important thing was that automakers were developing them. 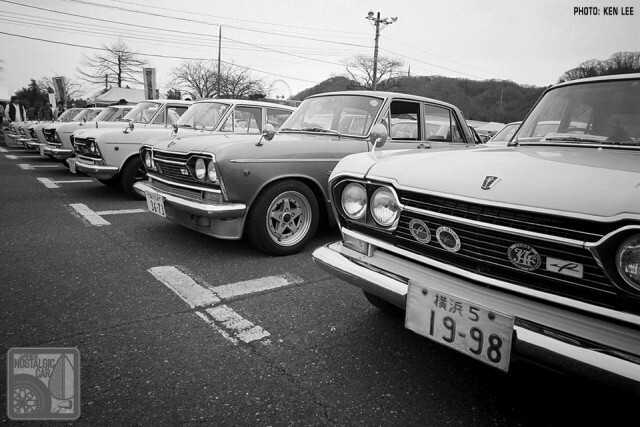 As it entered the second half of the 1960s, though, Japan was building cars that matched the world’s best, and motorsports became a big part of Japanese car culture. 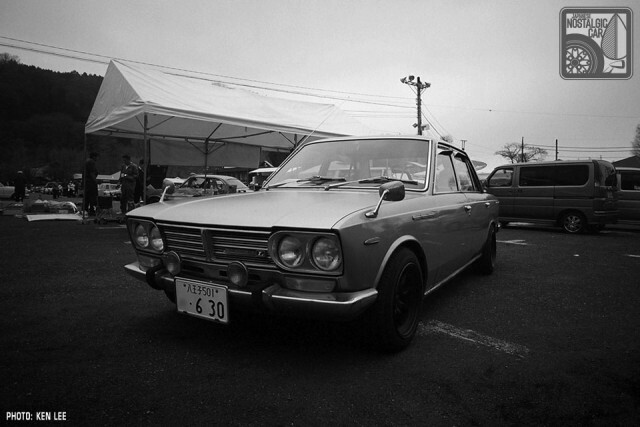 Cars like the Skyline established their racing cred, even if the rest of the world wouldn’t hear about it until the end of the Showa Era and the advent of the R32 Nissan GT-R.
Incidentally, the show wasn’t limited to Japanese cars of the Showa era. Plenty of German, British and Italian steel also showed up. 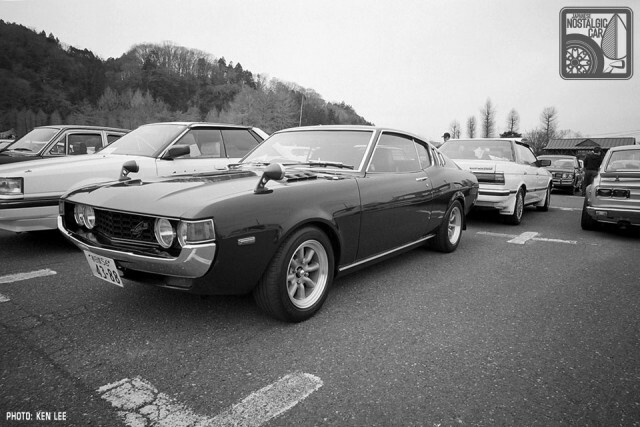 The early 1970s saw the rise of the affordable personal car — machines like the TE27 and Daruma Celica. 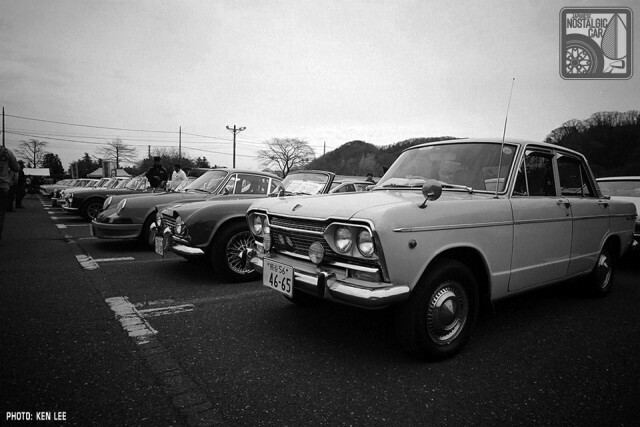 Light, small-displacement cars would define the Japanese sport coupe ethos for decades to come. 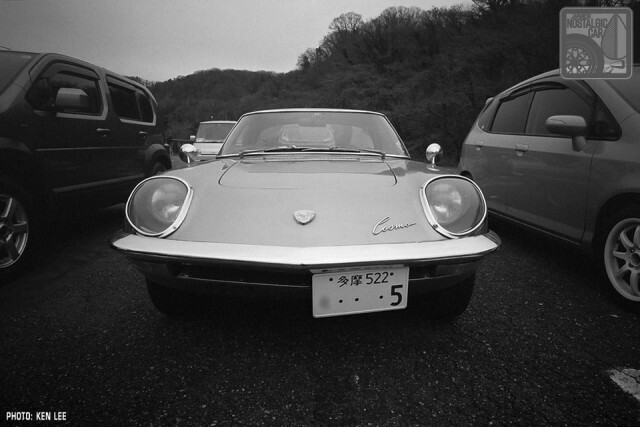 However, 3-wheelers like the Mazda T-2000 remained in production until the mid-1970s, roaming around the streets like remnants of an earlier age. By the 1980s, the Bubble Economy had ignited a desire for extraordinary engineering at every level of the automotive hierarchy, giving cars like the Civic incredible F1-derived technology. 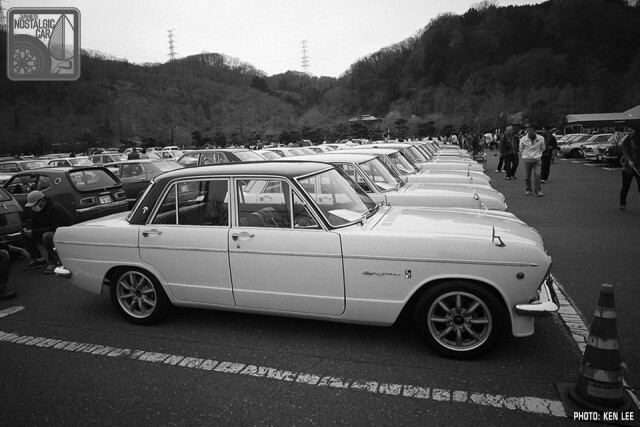 Hakosuka and Hachiroku, two of the most iconic JNCs known to man. 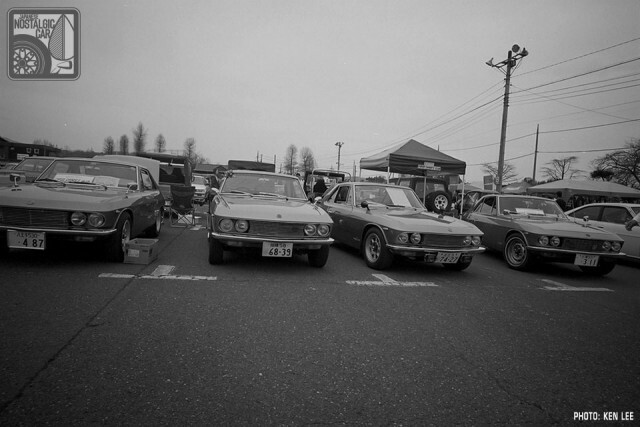 While the cars on display were interesting, the normal parking lot was filled with great cars as well, including a Mazda Cosmo Sport. A dignified Prince Gloria stands guard amongst a host of newer vehicles. 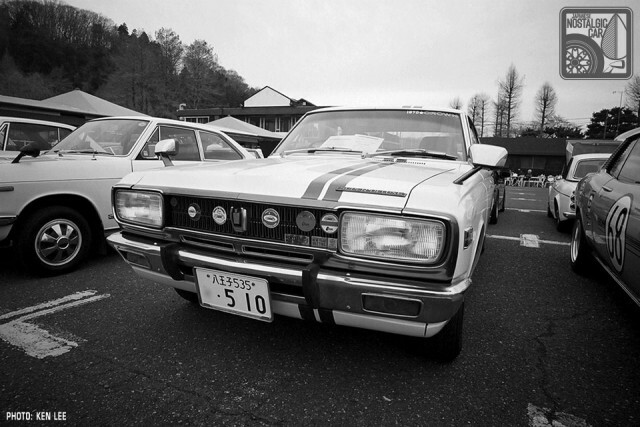 Last but not least, perhaps there is no greater vindication of the Showa Era’s nostalgia than the fact that many bosozoku cars, once derided as garish and over-the-top, are now considered cool. 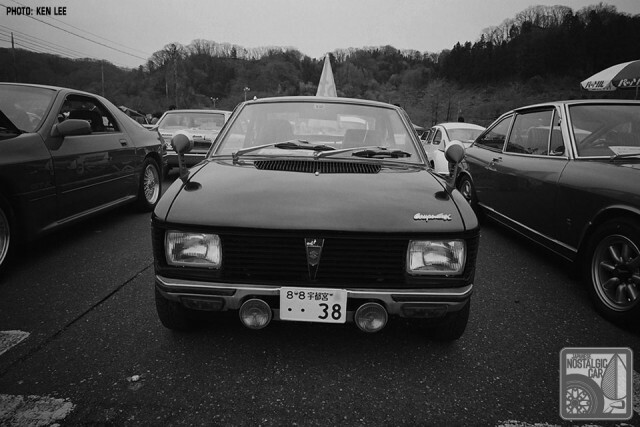 tagged: 2000gt, a20, ae86, Austin A50, bellett, bosozoku, c10, c30, carina, carol, celica, civic, contessa, corolla, cosmo sport, crown, csp311, daihatsu, datsun, datsun 210, e20, fairlady roadster, fronte, gloria, Hakosuka, hino, honda, Honda N-Series, isuzu, kei, laurel, mazda, Mazda K360, midget, ms51, nissan, prince, s54, s600, Showa Car Preservation Meeting, silvia, skyline, skyline sport, soarer, subaru 360, suzuki, t2000. 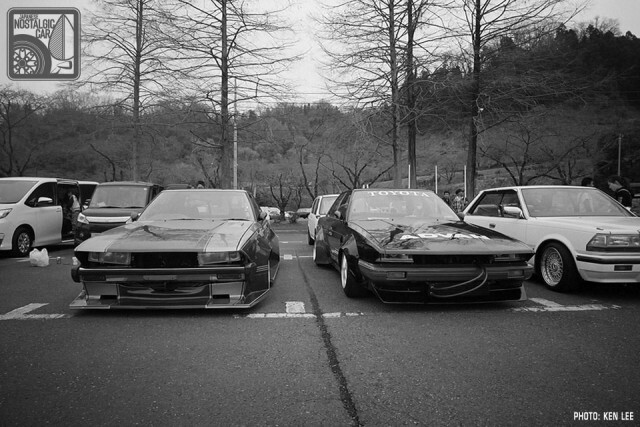 I was a bit surprised to see four Nissan Silvia CSP311s parked next to each other. There are so little of them left that it really must have been something special! 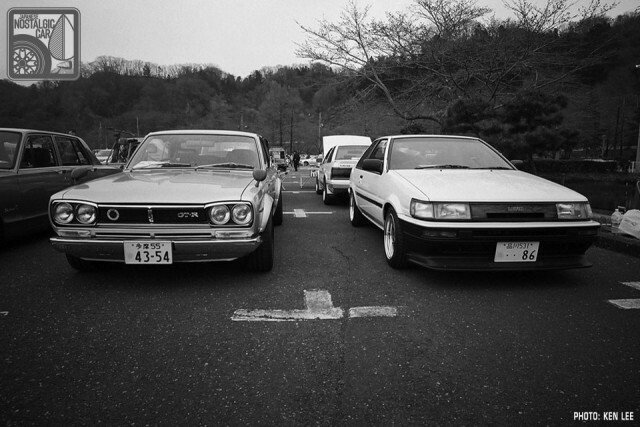 And also a big thanks for sharing the Toyota Carina GT-R AA63 coupe! It was special indeed! These CSP311s are becoming hot items over here in Japan it seems….and rightfully so! They are fine to look at! Wow, Thanks! I know the hot R’s are the darlings of the show but boy, I love the 3-Wheeled trucks. They really are “nostalgic” to me. I used to see these things carry everything from Kerosene to Bee’s. As a kid, I used to call them Kaeru or frogs. 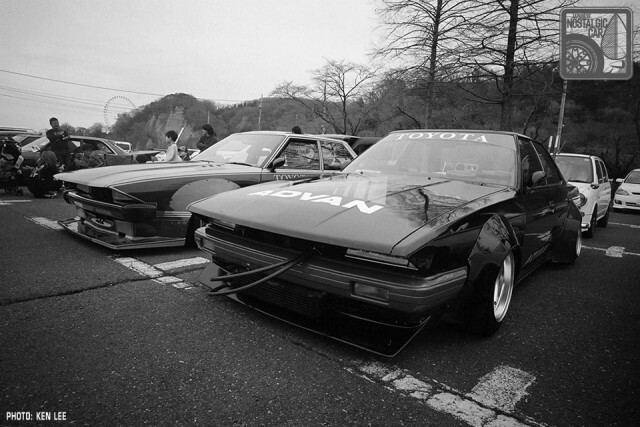 Nice coverage, what color were the bosozoku cars? What a awesome event! I dig that Carol coupe. Looks slightly lowered and a bit sinister. Love that Fronte, too. What a great event! Sooo much kyusha, no idea where to start… I had better make time to attend next year for sure. Being the “Showa Era” subject, the Black and White photos are just perfect! Every event I’ve been to over there or seen on the internet feature very few Mazda’s…..are they just not a well loved brand over there, or are Datsun’s and Toyota’s just more loved. It’s not that they’re not loved. They’re simply rarer. 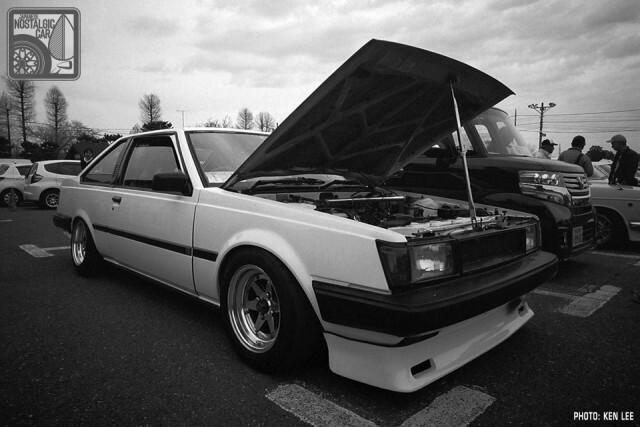 Nissans and Toyotas are like the Ford and Chevy of Japan and sold tens of thousands of everything they made. Mazda is a much smaller company, probably akin to AMC. Fair enough…..I suppose “not loved” was the wrong expression to use. They just seem to not feature much at many events and shows. Amazing mix! Great pics, but would be interested in the colors of the Silvias and Skyline Sport. Looks like several 5 plates – original owners? If there are any events at the end of June or first week of July, would appreciate info.